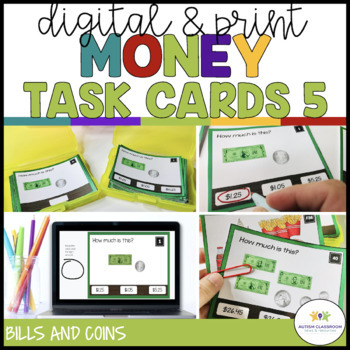 These cards are great for 1st and 2nd graders working on money skills to introduce adding bills and coin values as well as special education students working on life skills. I specifically geared the items and tasks to be appropriate for secondary students in special education. 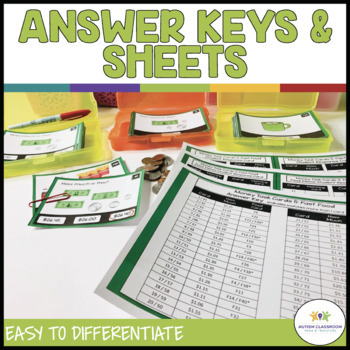 This set includes 40 multiple-choice task cards for identifying amounts using combinations of coins and bills and 40 identical cards that require writing in the answer. They are differentiated by level of difficulty as described below. All the cards have bills and coins that are not lined up in rows but scattered as money would be. 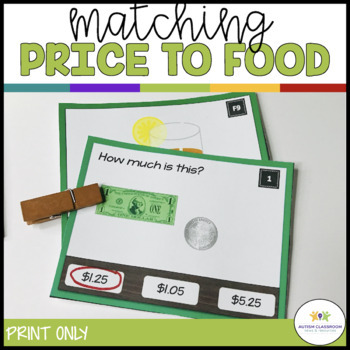 This product is copyrighted to Christine Reeve 2013 for use in one classroom. 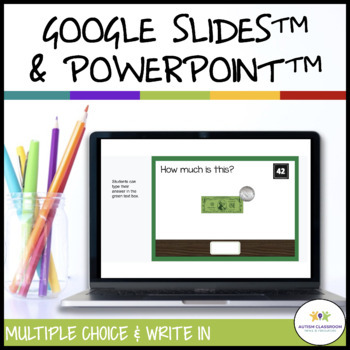 They may not be copied for additional classes without purchasing extra licenses. For bulk discounts, please email me at drchrisreeve@gmail.com.